BLACK+DECKER 3-in-1 Cordless Stick Vacuum - Frugal Mom Eh! I recently got sick of all the rugs and the constantly cleaning they required because of our kids and removed them. Honestly it was one of the better life choices I have made in recent years. Now the only carpeting is on our stairs which means we no longer require a massive vacuum to clean up. 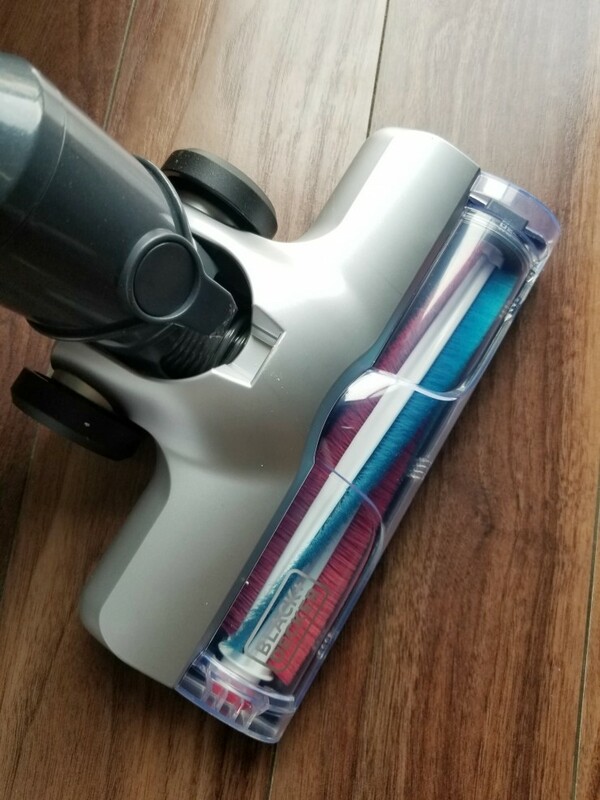 When I was asked to review a 3-in-1 Stick Vacuum from BLACK+DECKER I was excited to find out if it would be the cleaning solution we needed. We were sent the 24V version that can achieve up to 38 minutes of runtime but there is also a 20V version that achieves more than 30 minutes of runtime. They each feature two power modes and offer light and compact but powerful cleaning. 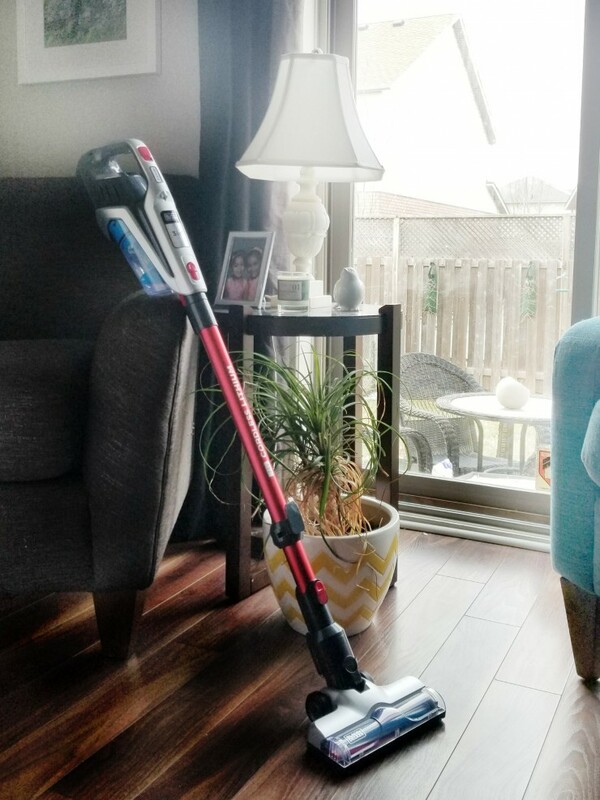 I have found the 3-in-1 vacuum from BLACK+DECKER to be a convenient way to handle the small spaces in our home such as our step, as well as being powerful enough to clean up everyday messes. Ideal for hardwood floors, rugs, and tile, I can use this vacuum all over my house! I love that I can easily modify the vacuum to go from small spaces to reaching up high to thoroughly clean ceilings and curtains. The head features swivel steering and a compact design that provides easy manoeuvrability in tight spaces, plus it has a low profile that allows for cleaning under furniture. It also comes with a 2-in-1 crevice tool and flip-up brush. It is also compact enough that I can easily store it away when not in use without having it take up a lot of space. This is important to us as storage space is at a premium in our house! When it comes to emptying the dust bin, I am probably the most impressed. It is one of the easiest bins to empty without creating any mess because they kept the design so simple. Just pop the pieces apart and dump the bin. Rinse out the bin and filter and leave to dry. Easy! 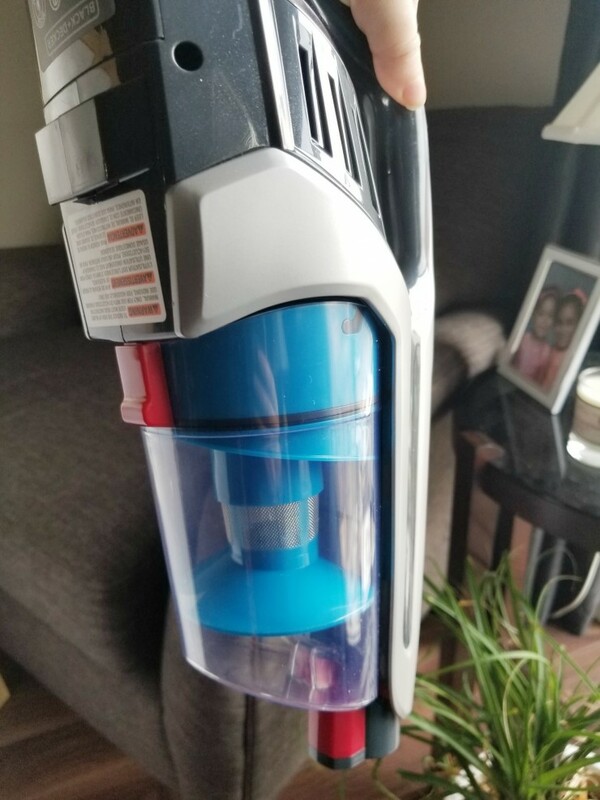 3-in-1 Stick Vacuum from BLACK+DECKER charges by directly plugging the vacuum into the jack plug charger until it indicates it is fully charged then store away until the next time you need to clean. We have had no problems with the runtime as it is sufficient enough for our needs. We easily get our cleaning done before the battery looses its charge. I recommend the 3-in-1 Stick Vacuum from BLACK+DECKER if you are looking for a powerful but convenient and compact vacuum.